Comprised of both a 16-year archive of the artist’s dub plates and test pressings, and a custom software created in collaboration with artist-computer programmer Caroline Record, the installation Turn of My Century: Dub plates and test pressings 1998-2014 proposed the exhibition as both duration and site, enacting a daily program of playback and recording over the 81 days of the exhibition Aftersound, at Carnegie Mellon University, Pittsburgh. 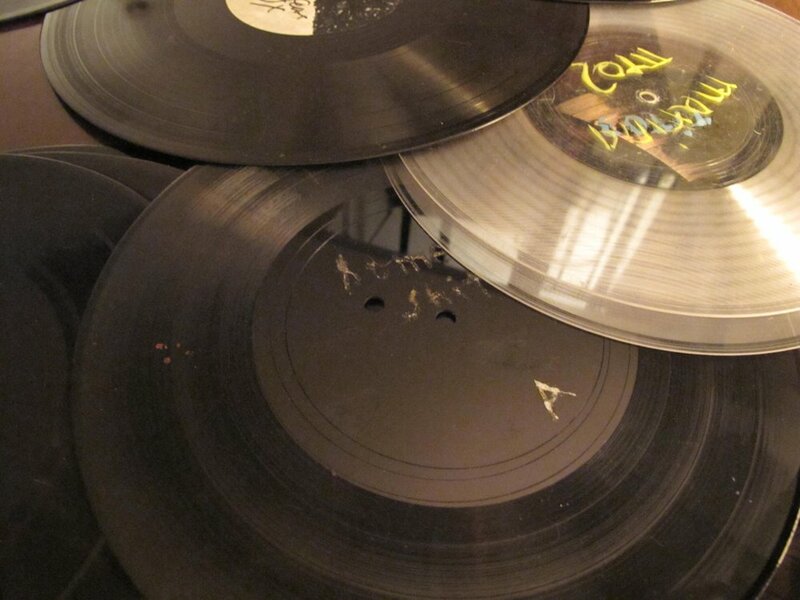 With the assistance of daily performers, Rosenfeld’s personal archive of dub plates— original 10- and 12-inch acetate records and test pressings, annotated in nail polish and magic marker, and produced as an integral part of the artist’s compositional and performance practice since the late 90s—were heard according to a daily score referencing names, A and B sides, dates and times of playback. 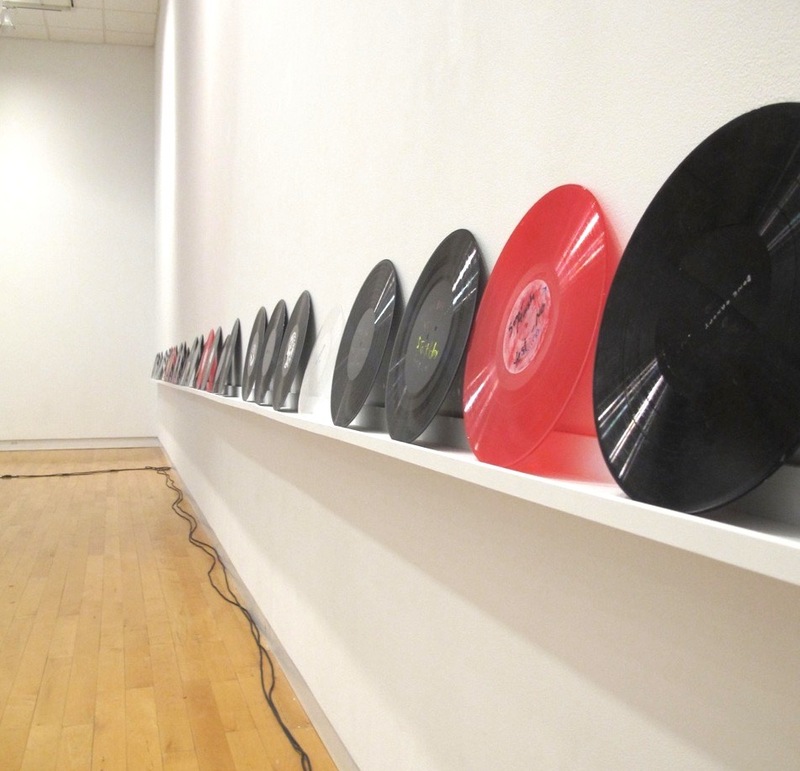 A tandem digital work captured and logged each "long-play", often abbreviated or terminated when the degraded surfaces of the older plates knocked the needle out of the groove, into an audio-visual archive visualized as an infinite tower of spiral lines that visitors to the gallery could navigate and hear via headphones. 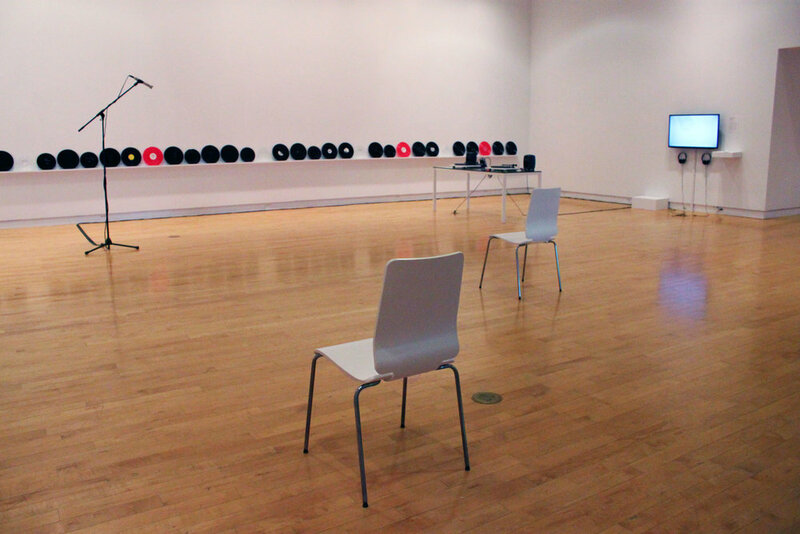 From the Aftersound catalogue: "Exposed without manipulation, without “being played” by the artist, the plates deliver their devolving ratio of musical signal-to-noise into the gallery, plumbing the space itself for reflected sound, and revealing the staging effect of the record player to be both photographic and ephemeral, provisional and impervious—an analogic machine subject to magic and erasure."